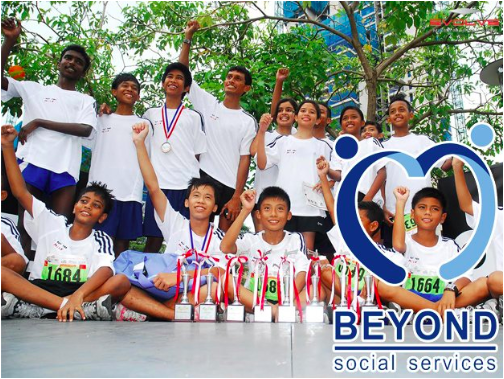 Beyond Social Services is a club that aims to eradicate poverty in Singapore through providing resources and education services to support local Singaporeans living in Government Housing. Every week we go to an HDB block and truly make a change by nurturing the kids through education and fun. CFC believes that when people are prevented from gaining knowledge and reaching their potential, we should be there to help them. We especially focus on children all different ages by setting up schools and training teachers that help the children gain the knowledge they need. We try and give them hope and inspiration that they do have a future ahead in their own lives and that they can be able to fulfill their dreams. Food From the Heart redistributes leftover and nonperishable foods to the needy, disadvantaged families and individuals around Singapore. It is our goal to not only deliver food, but to also ensure that their basic living standards are met. Anyone above 4 or 5 years old who is ready to (possibly) do some physical work. Package nonperishable foods into "goody bags"
Growing A Future Organization (GAFO) is an Indonesia-centered service club that aims to help impoverished youth have an opportunity to break out of the poverty cycle to start a new life. We do this by holding fundraising events, sponsoring classes, doing weekly Skype calls, and participating in a Skype buddies program. Gawad Kalinga is a Philippine-based movement that aims to reduce poverty through the building of community relationships and sustainable villages. We hold an annual race called the Zombie Run, which is a popular school-wide event that involves the Elementary, Middle and High School. Homeland is an organization in Battambang, Cambodia devoted to sheltering and caring abused abandoned and trafficked children in the region. The Homeland Club was formed to fund specific facility upgrades for the Homeland shelter backed-up by visits to assist in project completion and to develop personal relationships with the shelter’s residents. The club has since emphasized educational advancement and physical and psychological welfare of the children. We are working on the behalf of HIV/AIDS orphans in rural Uganda to end systemic deprivation, poverty, and hunger through a holistic approach to community development, education, and healthcare. Willing Hearts of SAS aims to help feed the hungry by preparing meals and educating people about hunger in Singapore. It is our hope that preparing and providing meals to the hungry will reduce their need to secure food, one less thing for them to worry about.